2017 sees another significant birthday in our household, OH has a BIG birthday and we have a load of friends coming to celebrate at the end of February. We decided that it was about time that we dealt with our ever growing waistlines and what better motivation is there than a big celebration. We eat exceptional well and I usually do not pay any attention to portions, calories, ingredients, other than they need to be the best and we enjoy them. So it was time to make some changes and I decided to research a number of diets, Atikins, Slimming World, Military Diet, Sugar Free, 5:2 Diet, Hay diet, Dr Unwin, you name it I have had a good look. I initially opted for the 5:2 diet, with a combination of calorie control. I know it is all about 2 fasting days and then just eating normally the other 5 days, but when I looked at our food consumption and calorie intake, well lets just say I needed to consider lots of things. 2 days fasting (500-600 calories per day) and 5 days of eating a Mediterranean diet. Plenty of help on the internet for the meals to eat on your fasting days (500 calories) however most of the info for the other days, just states “eat healthy”. More research …. I usually do not take any notice of calories, but this time I decided I needed to take lots of things into consideration, if I am informed then I can make decisions (good or bad). I found a great website www.myfitnesspal.com, you enter your recipes and it shows the nutritional details Calorie counter and also you can keep your food diary, so you can see your daily calories, fat, fibre, carbs etc. very handy. You need to signup for an account, but no costs and lots of info there, or you can build your own recipes or import from a link, great resource when you care counting calories. The tv has been full of diet programs, we watched one last week ‘Save Money: Good Health’ on ITV, where it compared 6 different diets over 28 days and ranked them based on the weight loss and the cost of the food/programme. There was a good selection, Lighter Life, Diet Chef, 5:2 Diet, and 3 others that I can not remember at the moment. 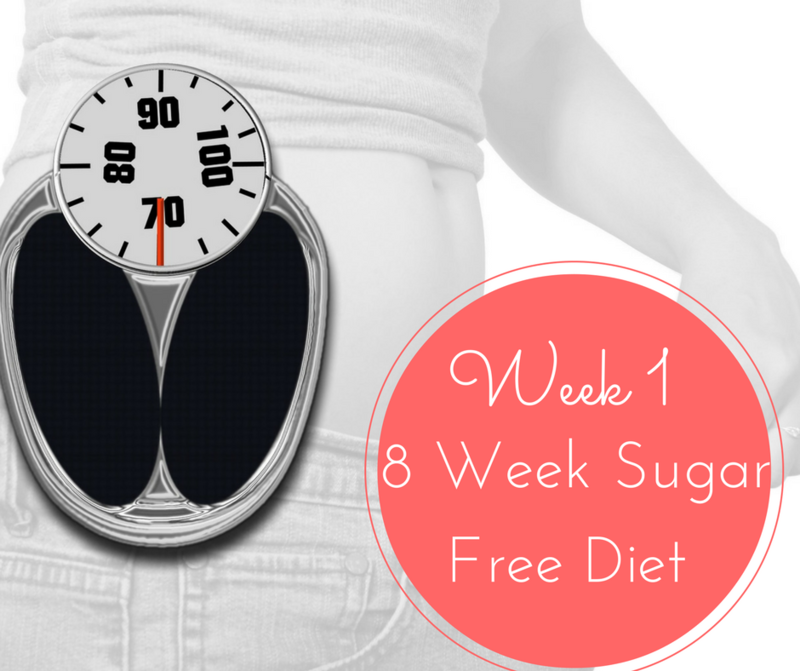 I have since decided that we are going to follow ‘The 8 week Sugar Free Diet’, 8 week program with 800 calories per day. Its a Low Carb diet, removing the bad carbs :- starchy carbs, potatoes, parsnips etc and rice, pasta, bread, white flours etc. So we are starting on the 8 Week Sugar Free Diet. This is an 8 week plan, lots of evidence on helping with Diabetes, neither of us have diabetes, however we really need to sort out our sugar intake, too many cakes and the like, but also from the hidden sugars, in bread, pasta, rice and some fruits and vegetables and is a good starter for the 5:2 diet which is a ‘Way-of-life’ diet and should be the next step when we are happy we have got our target weights and want to maintain our weight and healthy diet. There is a great TheBloodSugarDiet that has lots of information and also books to help your decide on your options. So Monday morning, we were up and ready to get started, scales were stepped on and weight recorded :-). Eggs are a good starting point for breakfast, so mushroom omelette it was, we both enjoy omelette and mushrooms so no concern with this choice, then it was chicken salad at lunch with grated beetroot and apple, then pork and veggies for dinner. No treats but plenty of glasses of water and a few cups of decaf tea. We both felt really good at the end of the day, many quick dashes to the loo, so the guess was things were working. We joked that maybe we would need to take a bucket upstairs. Early start on Tuesday, should have taken the bucket upstairs (ha ha). Another round of omelette, just a plain one for me and mushrooms again for OH. Lunch was pork stir fry and evening meal was a couple of nice steaks with lots of roasted veg, obligatory water and tea of course. Again feeling good, no adverse affects, no hunger pangs, so far. In fact, I noticed that I was not tired at my usual time in the evening and was quite happy to watch the end of program that finished at 11pm, very unusual for me. Wednesday started fine, not sure if it hit so quickly, however I did feel a little irritable and put it down to my body reacting to the new regime and especially the restricted calories. We had carrot and coriander soup for lunch, really enjoyed it. However by 3pm I was starting to feel hungry and a bit tired, I opted for a cup of tea, without the biscuits or cake. I could not give in so quickly. Thai fish cakes were on the menu for the evening with a nice salad and more water. Really enjoyed our meal and was very satisfied. Thursday morning started well, eggs as usual and we were both very pleased with our results on the scales. 1kg for me and 3 for OH, in 3 days that was great progress. Lunchtime was leftover Thai fish cakes and salad and our evening meal was Coriander and Lime Chicken breast and ‘cauliflower’ rice, a fantastic addition to the menu items. Again I felt great, more away than usual in the evening, and still managing to get to sleep when I went to bed. Friday and again more eggs, this time I made scrambled eggs with fried mushrooms and tomatoes, really tasty and plenty on the plate, definitely satisfied us until lunchtime. Lunchtime was a delicious (even if I do say so myself) Prawn and Broccoli salad. Then in the evening we had oven roasted Salmon with roasted carrots and celeriac. Mood was good and energy levels up. Another good day. Saturday we had to get moving as we had the yearly meeting at the Mairies office, all the local residents are invited to the meeting to see whats been going on in the last year and what they are planning for the year to come. We had breakfast and off we went with the plan to go shopping after the meeting. However the meeting ran on and we came home before heading of shopping we were both too hungry to do a long shop on an empty stomach and too temping to just grab something that we shouldn’t. I fried up more mushrooms, tomatoes and bacon, yes on a diet. Then we headed off shopping and when we came home, I made Kedgeree, not the calorie/sugar loaded variety with white rice, but with ‘cauliflower’ rice and some smoked haddock. Very nice and filling, certainly no need for dessert. Not that there is any on this diet. Although technically possible if you have been very good and have some calories available. I did note that I felt ‘fat’ in the evening and I suspect I had over eaten, although I did not have a huge portion on my plate, must be my stomach shrinking already. Sunday, well it was going to be a challenging day, we had invited some friends around fro ‘Aperos’ so there would be alcohol and nibbles and I needed to make sure there was enough nibbles that we could eat as well as our guests. Breakfast was Portabella mushrooms with tomatoes a little feta cheese and poached eggs. Lunch was a nice ham salad and then on the table we had some very tasty Ham and egg cups, roasted tomatoes with meat balls, green olives, crust-less quiche on the other side of the table there was sandwiches, sausage rolls, pork pies, scones and chocolate brownies. We were good, however did struggle a little and gave in to the temptation, once everyone had left, I had a little scone, it was delicious, I really enjoyed it, although my stomach and innards did complain with niggling pains later, so wont be going there again for a long time. So Monday has come around again (as it always does after Sunday , ha ha) and we were on the scales again. For me I lost a total of 1.9kg and OH 5kg. We are both very happy with the results and hope to keep the same level of progress this week, no get-togethers planned so should be in better control for the full week. Overall we have felt great throughout the week a couple of moments of feeling hungry, but nothing to be concerned about and less tired in the evenings and general energy levels up. So we will be continuing this week and will continue to chart our progress and menus.